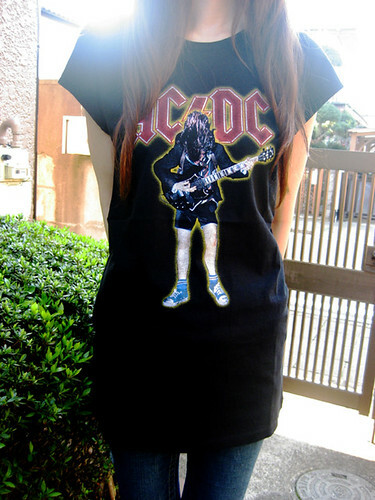 I got a AC/DC TEE from HYSTERIC GLAMOUR. 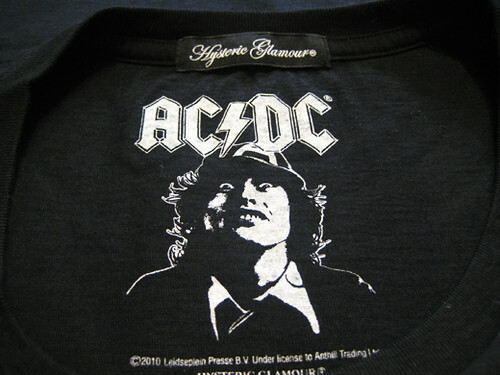 Angus is featured on the front of a black cotton shirt. 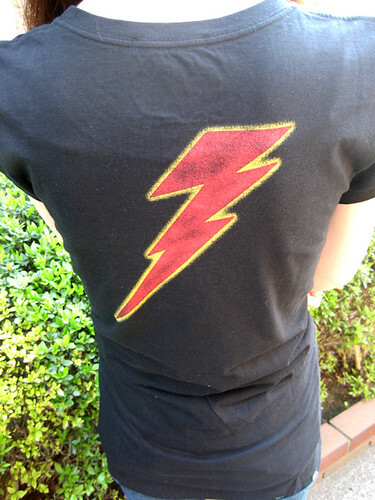 Back has a big bolt. I feel like wearing rock tee especially during the hot summer days. Nice AC/DC tee, love me some classic rock :) nice choice. Do you know of event Tokyo rock events or concerts coming up? Visiting my family this summer and would like to go to a concert while im out there. Thanks for sharing and I really like your blog!